Previously the realm of B2C marketers, Facebook is has become increasingly popular among marketers in the B2B sector as they recognise the network’s global reach may provide interesting opportunities for their brand. 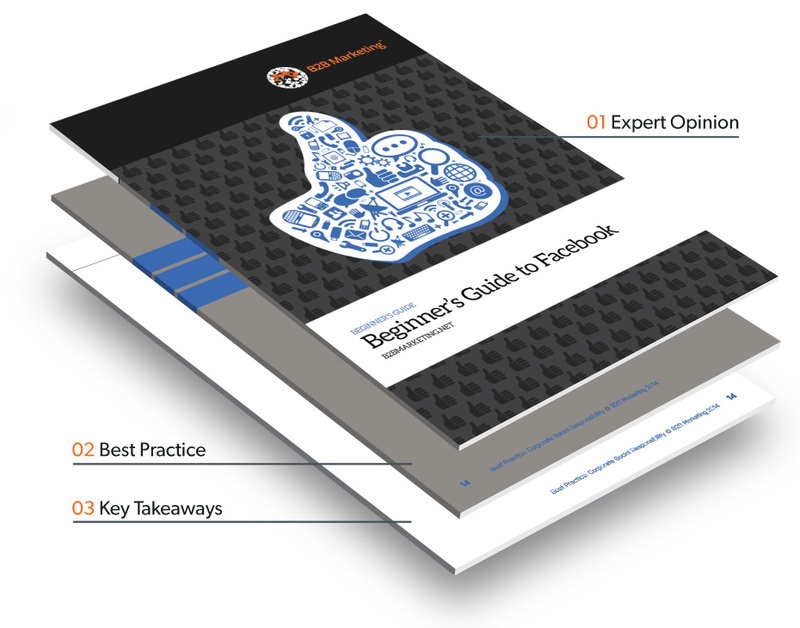 The download includes a breakdown of basic information you might require before setting up a profile, a step-by-step guide to creating an effective Facebook strategy, a detailed case study, 10 everyday Facebook tips and a list of additional reading material. Set up a successful Facebook profile – including advice on details such as image dimensions. Develop a robust Facebook strategy – make sure your use of the network is in line with the rest of your social media strategy. "The key to effective B2B Facebook marketing is to focus on the personal dimension which Facebook interactions offer"